It took the United States 40 years to install one million solar systems. In two years, that number is expected to double. “This is a time to mark when the solar industry started to accelerate at warp speed,” said Dan Whitten, vice president of communications at the Solar Energy Industries Association (SEIA). The organization is promoting the millionth system milestone, which likely occurred at some point in February, with a social media campaign using the hashtag #MillionSolarStrong. There were 27.4 gigawatts of installed solar capacity at the end of 2015, enough to power 5.4 million homes. Still, solar only accounts for one percent of the U.S. electricity mix. However, that number is expected to triple to three percent by 2020, and with stronger policies in place could increase even faster. 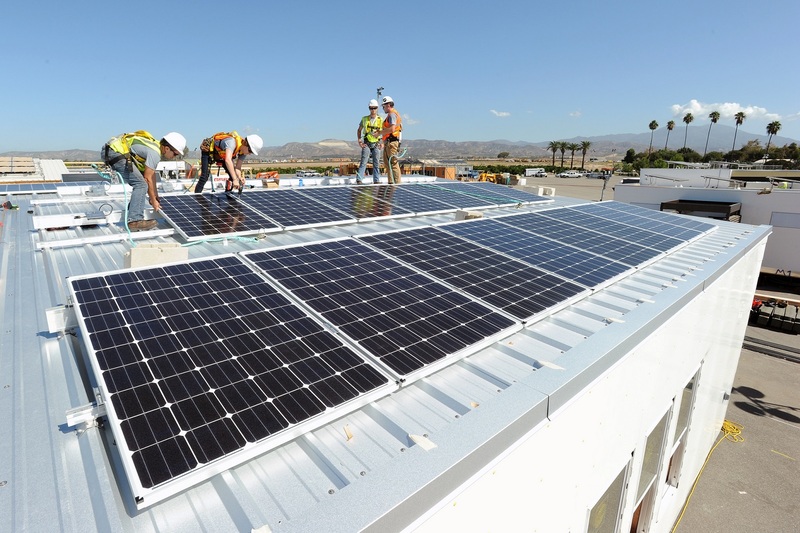 This year, the U.S. solar market is projected to grow a staggering 119 percent, representing an additional 16 gigawatts of new installed capacity. In December, Congress extended the 30 percent investment tax credit (ITC) for solar energy to 2019, declining gradually to 10 percent in 2022. The ITC extensions for solar and wind are expected to accelerate the renewable energy boom already well under way. According to SEIA, by 2025, one million solar systems are projected to be installed annually. It took the United States 40 years to reach one million solar systems. In two years, that number is expected to double. 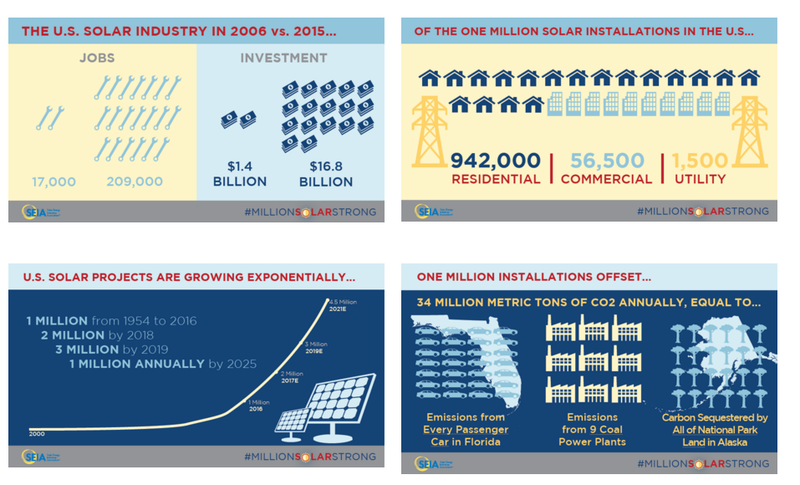 According to SEIA, by 2025, one million solar systems are projected to be installed annually.